Black Friday is turning out to be just another example of the US government killing jobs! 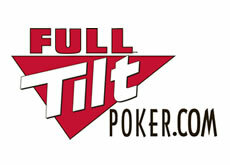 With their Us operations shutdown since April 15th, followed by the Aldernay Gambling Control Commission (AGCC) suspending their gaming license for their failure to repay their US players, Full Tilt Poker did what many have expected they would be forced to do all along this week, and paid-off their entire US workforce. The move came after the site paid the outstanding £250,000 licensing fee that was owed to the AGCC, which is an important step in the process if Full Tilt Poker ever expects to have their license reinstated by the AGCC –something that they must think is a possibility, otherwise what’s the point of paying the fee??? There is no official word from Full Tilt, and it’s unclear as to how large their US workforce was –it could simply be that Red Pros and sponsored players have been let go. We’ll update this story as more information is known. This entry was posted on Wednesday, August 10th, 2011 at 10:18 am and is filed under Poker News. You can follow any responses to this entry through the RSS 2.0 feed. You can leave a response, or trackback from your own site.